The celebration of Inti Raymi (The Festival of the Sun) is a grand theatrical pageant set against the back drop of the ruins at Sacsayhuamán on a hill just outside of Cusco, Peru. 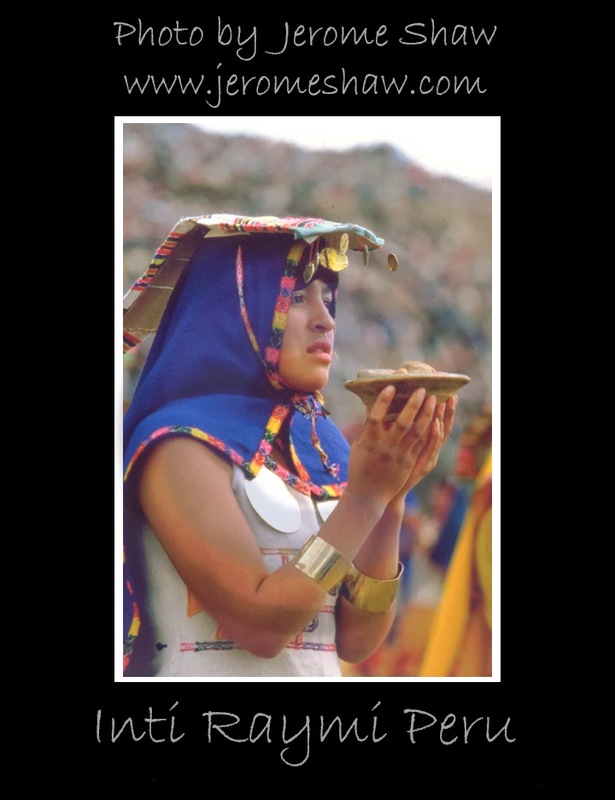 The dramatic recreation of the original Incan festival that celebrates the return of the sun takes place on June 24th each year, a few days after the Southern Hemisphere’s winter solstice. Exactly why it takes place on the 24th rather than on the day of winter solstice is a matter of conjecture. My opinion is that this was the date on which the ancient Incan “astronomers” could perceptibly detect the lengthening of the days thus could assure the populace that the sun had in fact consented return for another year. In the photograph above the Ruler of the Incas is transported upon his throne by his subjects during the processional of Inti Raymi at Sacsayhuamán. People line the walls created by the incomprehensibly large stones. These walls were created by the workmen of the lower classes of Incan Empire in the 14th and 15th centuries. Each village or region was required to contribute manpower for the public works projects of the Inca Empire. This where the huge amount of manpower needed to move these massive stones, that were quarried at the river's edge and moved miles up hill to the stronghold of Sacsayhuamán, was derived. Since the empire of the Incas was comprised of several ethnic identities, each with a different language or dialect, the members of each region were organized into distinct work regimens that were assigned specific tasks. The entire project was overseen by a Incan architect with one region's work detail quarrying the stone, another providing the manpower to drag the stone up earthen ramps with huge ropes to the construction site and yet another gang of workers being entrusted with building the log structure that was used to lower the gargantuan stones into place on the wall. Yet another set of workers might well have been employed to do the final minute adjustment so that the stones fit together so perfectly that even centuries later and after dozens of earthquakes there is not room for a sheet of paper to fit in these precision stone seams. The Incan name for their empire was Tawantinsuyu, or ”four parts together." In Quechua, the word Tawantin indicates a group of four things. (tawa = four) The suffix -ntin indicates a group and Suyu means region or province. Tawantinsuyu roughly translates as "The four lands together." At the height of its power Tawantinsuyu stretched some 2500 miles from the Southwestern tip of present-day Columbia through Ecuador and Peru down the West Coast of South America encompassing Western Bolivia and the Northern reaches of present-day Argentina and Chile. The height of the Incan empire was relatively short-lived covering only about 100-150 years. The consolidation of small regional governments likely began in the 12th century but since the Incas had no written language it is difficult to know with precision when the Incan Empire began. But thanks to the Spanish Conquistadors ruthlessness and well-kept records it is certain when the Incan empire came to an end. Túpac Amaru, the last Incan King, was executed in 1572. Francisco Pizarro first entered the region of the Inca in 1526 and in less than 50 years he and the Spanish Conquistadors that followed him had decimated government structure that built paved roads across the empire, some up to 24 feet wide. 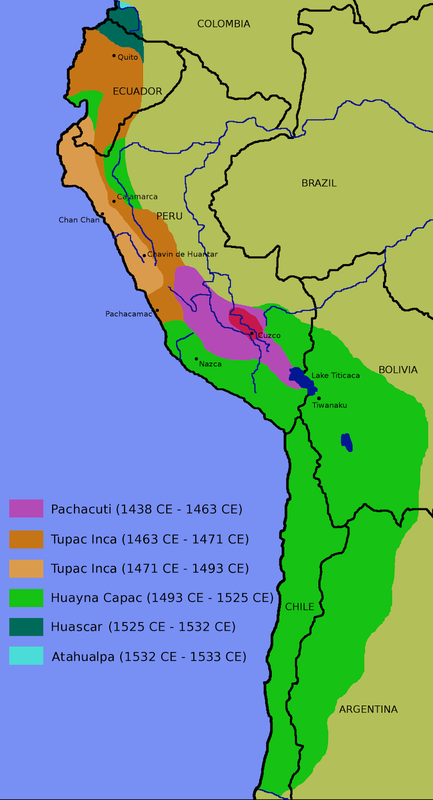 The Inca had unified regional municipalities that spoke dozens of languages and stretched along almost the entire length of the West Coast of South America. The Inca had created monumental architecture that would be difficult to recreate today, ever with modern technology, The political structure of the Inca gave women equal if not preferential status in the political process but this same ruling class also sacrificed hundreds of children upon the death of an Incan ruler. For all the their many accomplishments the Inca could not withstand the onslaught of disease and the treachery of a small band of Spanish Conquistadores. Their defeat was relatively swift and the incredible gold and silver wealth of the Incan Empire was larcenously and systematically transferred to the Spanish Crown with “bits and pieces” of it falling into the pockets of the conquistadors themselves. Prior to the Spanish invasion, Inti Raymi was the most important of four ceremonies celebrated in Cusco. The celebrations took place in the Haukaypata or the main plaza in the city. 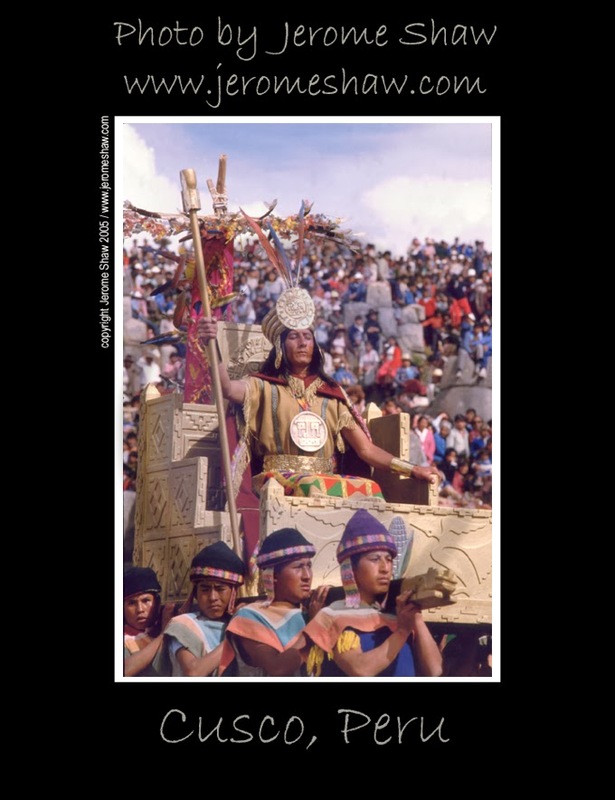 Inti Raymi (Festival of the Sun) was a religious ceremony of the Inca Empire in honor of the god Inti, one of the most venerated gods in Inca religion. It was in fact the celebration of the Winter Solstice - the day with the least amount of daylight of any day of the year. The last Inti Raymi with the Inca Emperor present was carried out in 1535. The modern day recreation of the Inti Raymi Festival has been held at Sacsayhuamán since 1944 This first recreation of Inti Raymi was directed by Faustino Espinoza Navarro with indigenous people portraying the Inca and was largely based on the chronicles of Spaniard Garcilaso de la Vega. Sacsayhuamán is not the only place to experience Inti Raymi. The festival is still celebrated in indigenous cultures throughout the Andes. The celebrations involve music, colorful costumes, notably the woven aya huma mask, and the sharing of food. 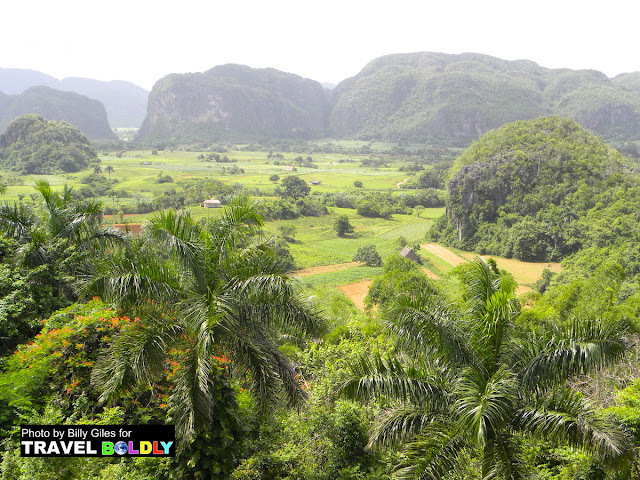 This post is part of the Travel Photo Discovery link share. Stop by and see my fellow bloggers posts.